When the dust had settled after the Macondo accident in 2010 it was found that the trigger was a gas explosion that followed a gas leak from the well. The accident has drawn attention to gas leaks, for the sooner such leaks can be detected, the more time there is to respond. GasSecure partner Origo Solutions has covered land and sea in Norway, visiting operators and suppliers to promote GasSecure and their solution that can detect gas leaks using a wireless platform. The results of Origo Solution’s effort has now been realised with a major contract. Statoil has ordered a wireless detection system for Statfjord A platform including seventy three GasSecure GS01 wireless gas detectors. This system - the largest fully integrated wireless gas detection system on the Norwegian continental shelf - will be fully operational from June 2015. See also article in Teknisk Ukeblad (Norwegian only) here. GasSecure are celebrating with Aquip Systems, our hardworking Australian Distributors, after securing the largest single order for GasSecure GS01 wireless hydrocarbon detectors. A major international oil & gas company is buying a further 110 units of GS01 for use across multiple sites. Knut Sandven; Founder and CEO of GasSecure commented; “This is a major breakthrough in Australia, and we thank Aquip for their efforts and look forward to a long and exciting cooperation”. Commenting on the reasons for the purchase Jørgen Svare; GasSecure Business Development Director said; “The convenience and flexibility of wireless systems, combined with the ability to dramatically reduce capital costs, now make these projects viable against more expensive wired systems”. If you would like to know more about the GasSecure GS01 wireless hydrocarbon gas detector please contact us through our website. An international oil & gas company recently approached our UK Distributor Protex-Systems with an urgent need for an offshore fixed gas detection system. A fire and gas survey had determined that a platform in the Southern sector of the UK North Sea had insufficient detector coverage and a fast solution was required. A wireless system with GasSecure GS01’s was clearly the answer with limited design or engineering demand, virtually no utility requirements and a very easy cable-free installation. The system was proposed, designed and supplied for installation within 4 weeks from the first call. GasSecure GS01 wireless gas detector featured prominently in a presentation by ExxonMobil instrumentation control engineer Bin Xu at the 2014 Yokogawa User Conference in Houston, as reported in an online article in Control process automation magazine. ExxonMobil is investigating the use of wireless gas detection to provide better protection on their sites. In his presentation Mr Xu emphasized the cost savings, flexibility, and speed of deployment of wireless system as compared to hard-wired solutions. He also pointed out the availability of wireless gas detector systems with built in redundancy for SIL2 applications. The July edition of Insider Magazine includes a comprehensive article covering the Yokogawa European User conference at which the global agreement between Yokogawa and GasSecure on the distribution of GasSecure’s wireless based gas detectors through Yokogawa’s global sales network was announced. The article has been republished with the kind permission of Insider editors and is available here. GasSecure AS announces the signing of an agreement with Yokogawa Electric Corporation on the distribution of GasSecure’s ISA100 Wireless based gas detectors through Yokogawa’s global sales network. With this agreement, Yokogawa gains access to GasSecure’s wireless gas detectors and thereby strengthens its lineup of plant field wireless solutions and enhances its support of health, safety, security, and environment (HSSE) management applications. This agreement will also allow GasSecure to gain access to Yokogawa’s global sales and service network and thereby boost the sales of its wireless gas detectors. Read our press release here. GasSecure’s CEO & Founder; Knut Sandven, will be co-presenting with PETRONAS Senior Instrument & Controls Engineer; Satiesh Muniandy to the Yokogawa European Users Conference & Automation Fair which occurs 2-4th July 2014 in Berlin, Germany. This year’s conference theme is ‘The Power of Innovation’ and the PETRONAS / GasSecure co-presentation is entitled: ‘ISA100 Wireless Integration of GasSecure F&G Devices’. The presentation will showcase the convenience and cost reduction benefits of using GasSecure’s totally wireless gas detection system and will include an informative case study from Mr. Muniandy for a PETRONAS process facility in Malaysia. Read our press release here. GasSecure’s Business Development Director; Jørgen Svare, will present the advantages of GasSecure GS01 wireless gas detection systems to the INTSOK oil & gas Brownfields Conference in Perth, Australia on the 14th August 2014. The presentation entitled ‘Installation & Commissioning Wireless Gas Detection on a Running Plant” will showcase the convenience and cost reduction benefits of using a wireless system. GasSecure's founder and CEO; Knut Sandven, recently presented a technical paper at the 59th Annual Symposium ISA Analytical Division in Baton Rouge, USA. The paper entitled "New Wireless Gas Detector for SIL 2 Applications using MEMS Technology" was part of the vibrant "Emerging Technology" session and was recognised against 37 other peer assessed technical presentations with a Gilmer Thomasson Fowler Konrad award based on technical merit, clarity and applicability. The existing installations for the GasSecure GS01 wireless hydrocarbon detector range from arctic to tropical and cover extremely demanding onshore and offshore applications. The most recent purchase is a repeat order from a major SE Asia Oil & Gas exploration company where the GS01 will be fixed on an unmanned offshore platform at least 5km from the central control facility. For these remote applications the robust GS01 sensor and absence of any recalibration generates real client benefits. GasSecure has been selected as preferred supplier of a significant number of combustible gas detectors to the Statoil North Sea platform Statfjord A. This supply will be part of an ongoing upgrade of Statoils oldest platform in order to extend its lifetime and production (see also). The latest issue of Gases & Instrumentation features an extensive article on GasSecure and the GS01. The article describes network topologies and SafeWireless signal transmission. 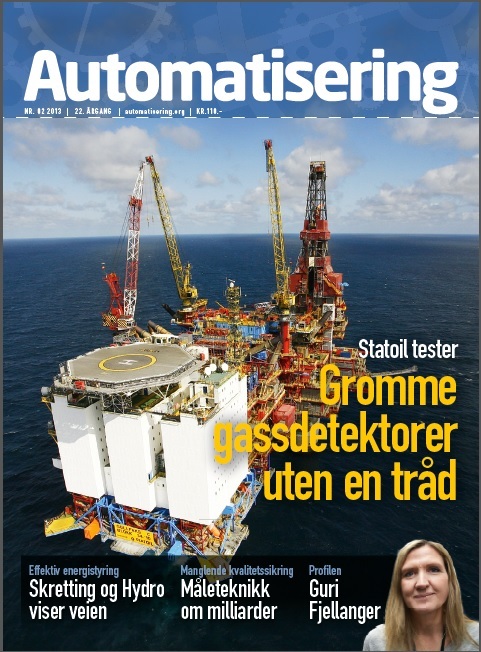 The latest issue of Automatisering features an extensive article on GasSecure and the GS01 (in Norwegian). The article describes the offshore installation at the Statoil operated Gullfaks C platform in the North Sea. GasSecure has completed installation of the world’s first true wireless infrared gas detector, the GS01, on the Gullfaks C platform in the North Sea. 20 detectors were installed on the Statoil operated platform by a team from Statoil, ABB and GasSecure. The time for installation, integration and commissioning of the system was a fraction of what has been the norm for wired systems and shows one of the many advantages of implementing wireless detection. The offshore tests on Gullfaks C prove that the GS01 gas detector from GasSecure has comparable performance to existing wired solutions on key areas such as response time and accuracy. The detectors are battery operated with an estimated battery lifetime of two years. They have been set up in a mesh network and communicate wirelessly using the ISA100.11a protocol with a PROFIsafe layer to achieve communication according to the required safety standards (SIL 2). Statoils experience with this installation is summarized in a case study that may downloaded here. GasSecure would like to thank Statoil and ABB for assisting us in reaching this important milestone. Last week GasSecure shipped 3 wireless gas detection systems to 3 different major oil and gas operators for both onshore and offshore North Sea installations. There has been significant interest since we launched the GS01 this summer. Last week marks a successful year and we are optimistic for what next year will bring. The ISA100 Wireless Compliance Institute (ISA100 WCI) is a non-profit industry organization providing users and developers with market awareness, educational information, technical support, and compliance for the ISA100 family of universal industrial wireless standards. The ISA100 WCI provides real world feedback from deployment of ISA100 devices and systems to ISA Standards Committees in order to foster rapid refinement and development of open industry standards for wireless applications. Institute members include end users, technology suppliers, research and development professionals, academia, and other industry consortia and standards bodies. Early members include Apprion, BP, Chevron, Chongqing University of Posts and Telecommunications,ExxonMobil, Fuji Electric, Gastronics, GE, Honeywell, Nivis, Procter & Gamble, R3 Sensors, Shell, Shengyang Institute of Automation, Yamatake and Yokogawa. GasSecure has joined the Honeywell’s PKS Advantage™ Program. GasSecure’s participation expands the program’s options with wireless gas detection for petrochemical, refining, LNG and other process industries. The companies will work together to integrate the GS01 wireless gas detector for hydrocarbon leakage monitoring to Honeywell’s OneWireless Solutions. The relationship created by the PKS Advantage™ program provides benefits to customers of both GasSecure and Honeywell. Automation products and systems should allow for seamless interoperability. Customers can now add gas detection to their OneWireless systems and get local support from Honeywell’s strong project operations group. PKS Advantage™ is a Honeywell-sponsored, collaborative program that engages other best-in-class suppliers of automation solutions. The PKS Advantage™ program is a collaborative effort allowing members to integrate their products with Honeywell's Experion® Process Knowledge System (PKS) and OneWireless, this program gives users greater flexibility in choosing complete solutions for their businesses. PKS Advantage Program participants closely collaborate to integrate and apply data and information throughout Experion PKS. The results include improved asset availability and effectiveness; optimized process throughput and work processes; and lower costs of ownership, operations and maintenance. GasSecure is nominated for the prestigeous ONS innovation award. The winner will be announced at a special innovation lunch to be held in Hall A at the Stavanger Forum showground from 12.00 –14.00 on Wednesday 29 August. Together with some of the most innovative companies in the energy sector, we have been invited to ONS where we will showcase our wireless gas detection system with a live demo in the innovation stand area. ONS is one of the world’s leading meeting places for the global energy industry. It takes place in Stavanger the last week of August every other year. In 2010 ONS had over 49 000 visitors which makes it the worlds second larges exhibition and confernece for the energy sector. The theme for ONS 2012 is "Confronting energy paradoxes". 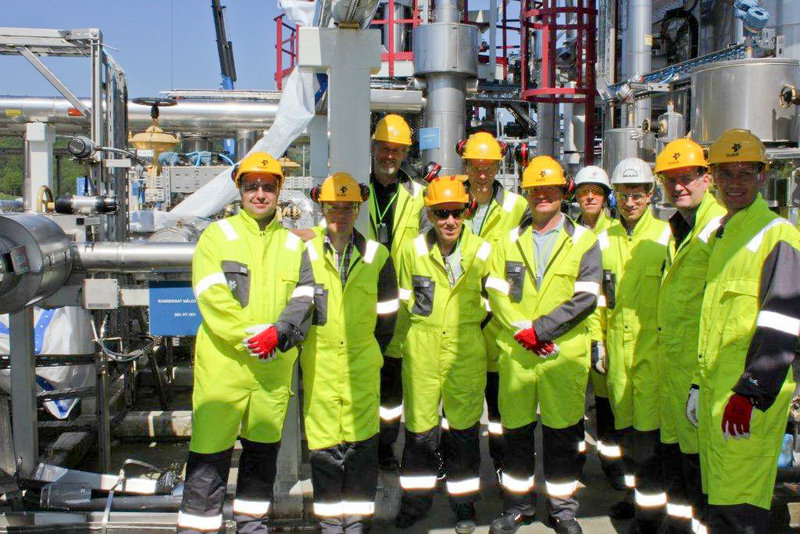 Statoil and GasSecure recently held a demonstration day at Statoil’s Kårstø gas processing plant (K-lab). The GS01 performance was successfully tested live with simulated gas leakages, water jet and battery replacement. Gas detector signals were observed in the control room at ABB's 800xA system. Applied Technology Award is awarded by NTNU and SINTEF, and is a price given to individuals or organizations and businesses with big potential and roots in the research environment around these two institutions. The price is 150.000 Norwegian kroners and an artwork. The Technoport Awards show was held at Trondheims Grand Concert Hall Olavshallen on the evening of the 17th of april. The motivating factors for installing wireless sensors are easy to see – simplicity of installation and operational flexibility. However, there are also potential challenges. The main challenges for safe wireless communication are to guarantee a short response time and to immediately detect loss of contact with sensors. Control Engineering Europe reports on a possible solution. GasSecure AS receives the 2011 Frost & Sullivan Technology Innovation Award in the European Gas Detection Industry. The Technology Innovation Award is presented to the company that has excelled in the following criteria: uniqueness of technology, impact on new products/applications, impact on functionality, impact on customer value and relevance of innovation to industry. GasSecure demonstrated the first wireless optical gas detector for hydrocarbons on ONS 2010. The detector operates on batteries and transmits data to a laptop computer using the wireless industry standard ISA 100.11a. While the housing is constructed for demonstration purposes only, the interior detection system is the real thing. The MEMS diffractive optical element, which is the heart of GasSecure's wireless gas detector, was in its early days developed in cooperation with the European Space Agency. ESA has published an extensive article describing the technology.